With two national parks at its border and a wild red-rock backdrop, Moab is a desert rat’s paradise. It’s a small town starting line, buzzing with activity as people fuel up and map out their adventures, from slick rock hikes to stargazing in the southern Utah desert—it all starts in Moab. If you’re planning a trip to this land of red rocks and canyons, you’ll want to be prepared for camping in Moab. Camping in this beloved area often comes with crowds, alongside challenges that are inherent to the dry desert environment. While you can find just about everything you need in Moab, reality sets in as soon as you drive away from the tour operators and the busy sidewalks. Wilderness happens fast out here. 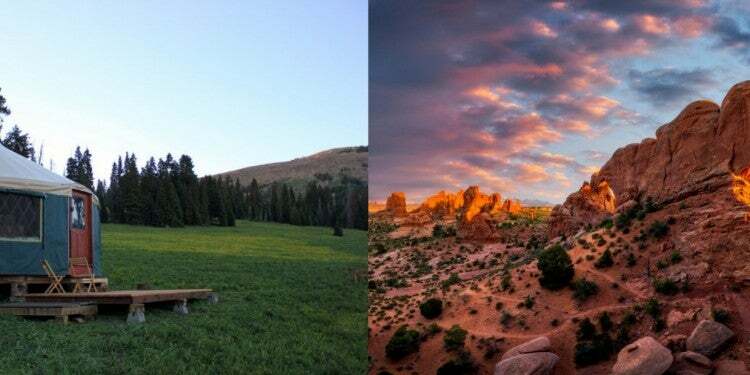 But with a few helpful tips, you’ll find Moab camping to be a very obvious part of why people who love the outdoors, love Utah. 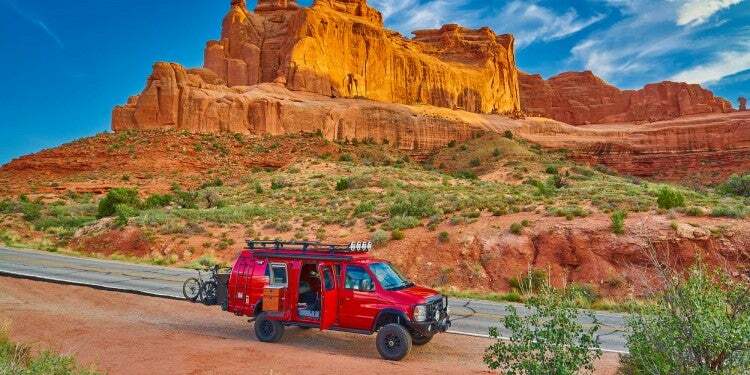 Moab is a popular place to visit, and for good reason. 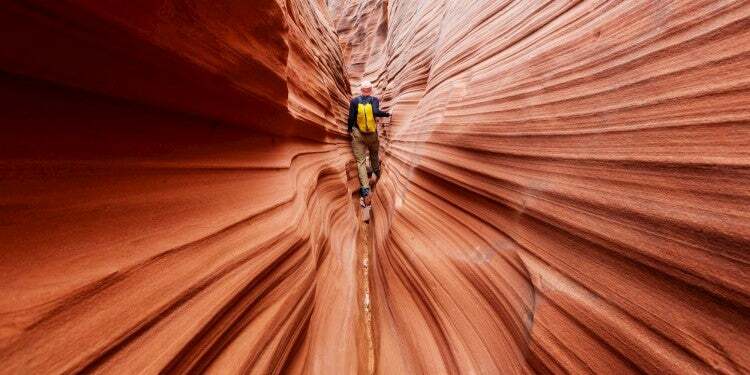 The desert landscape of Utah is unique and teeming with opportunity for camping, climbing, hiking, and more. 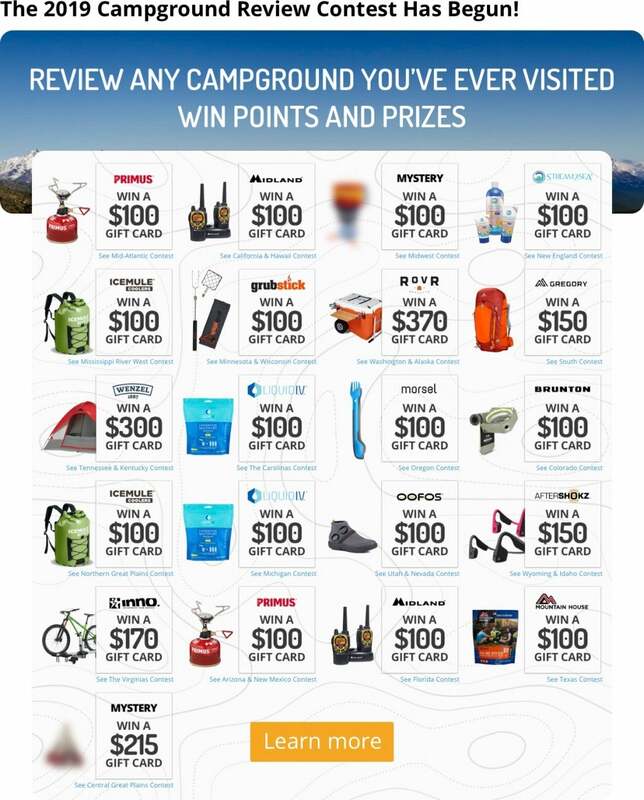 Because of this, your best bet for camping is to reserve a campsite in advance. This campground sits right along the Colorado River on the border of Arches National Park, just minutes from town, making it one of the quintessential Moab camping spots. With ample space and amenities, you’ll find room for tents, RV’s, and even small cabins for rent. 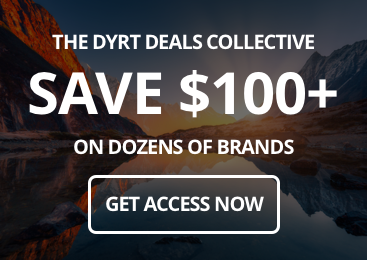 Plus, all of these are reservable months in advance. Camp on the edge of Canyonlands National Park in Dead Horse Point State Park. This campground has plenty of space and amenities and can be reserved in advance. With just a short walk from your campsite, you’ll find views overlooking Dead Horse Point—which resembles a smaller Grand Canyon—and the greater Moab Valley. Camping in Moab isn’t so hard to find if you know where to look. Almost half of Utah is public land—nearly 22.9 million acres. 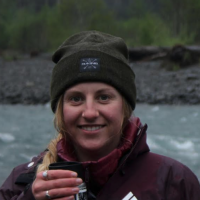 While not all public land allows for camping, a lot of it does. 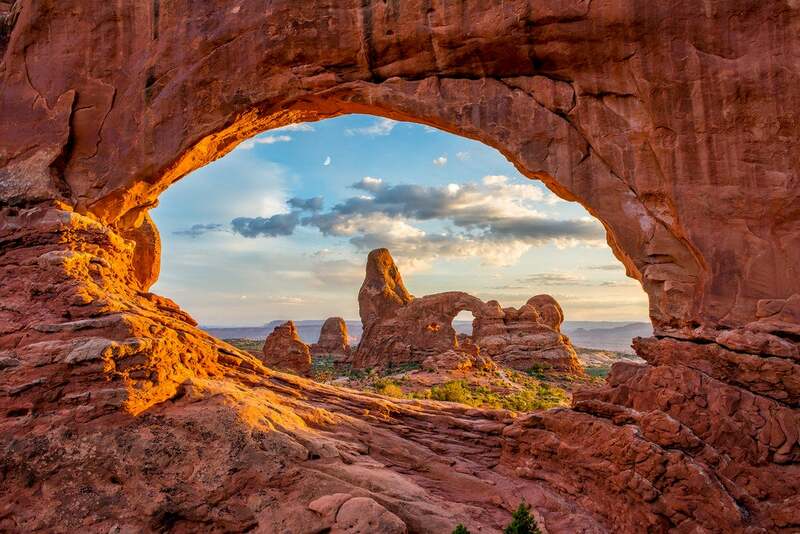 Look beyond the obvious choices at Arches and Canyonlands, and keep your eyes peeled for national forests and BLM land where dispersed camping is allowed. Head down the road a few miles outside of Moab central to find this small, first-come, first-served campground. 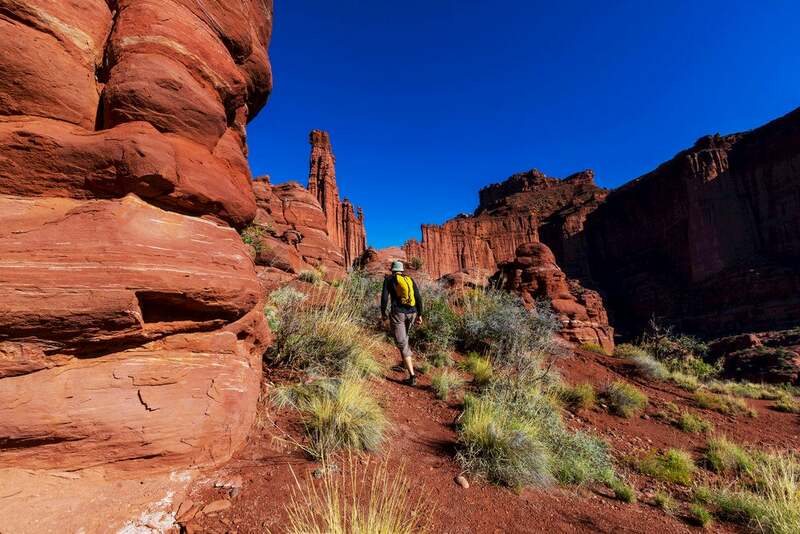 You’ll be just outside of the bustle of downtown Moab with some of the best desert views and access to hiking trails. 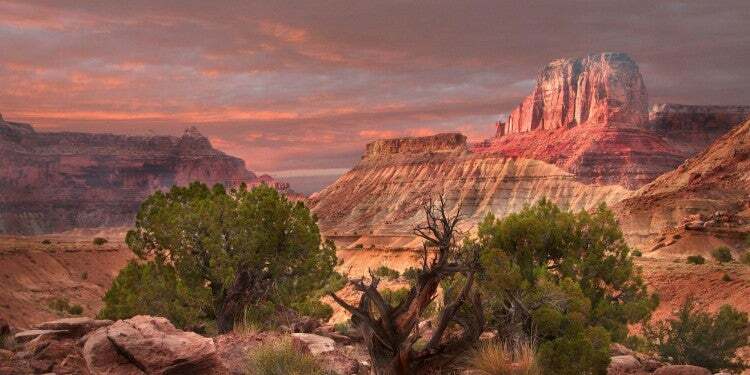 Find primitive camping with one of Moab’s most famous formations in the background. This campground attracts climbers, but is great for hikers who want to get off the beaten path, too. Amenities are sparse (no water or restrooms) and sites are for tents only, but this area will give you a taste of the wild side of Moab camping. Moab camping in mid-summer (and even in spring and fall) can be a furnace in the daytime, which is why it’s even more popular in April and October. But, should you find yourself in the desert heat of southern Utah, there are ways to get around the scorching temps. Instead of hiking in the late morning or midday, aim to be on the trail by sunrise and off by lunch. Not only will you be hiking in the coolest part of the day, you’ll also catch the magical morning light as it illuminates the desert landscape. Need to escape the afternoon heat? Head towards the La Sal Mountains for some alpine air and cooler temps. 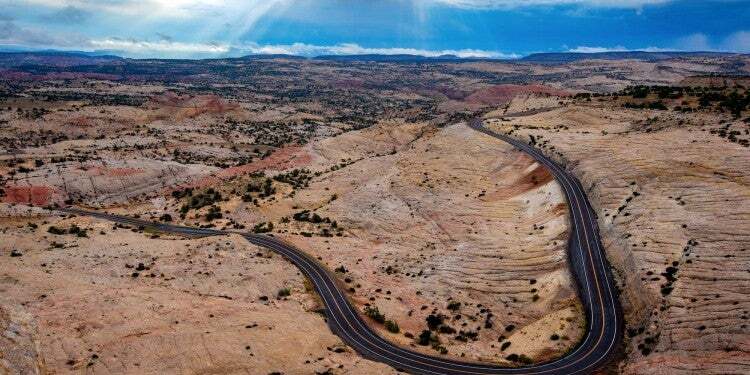 Take the Scenic Loop Drive from Moab through the La Sals to catch views that stretch across Arches and Castle Valley. 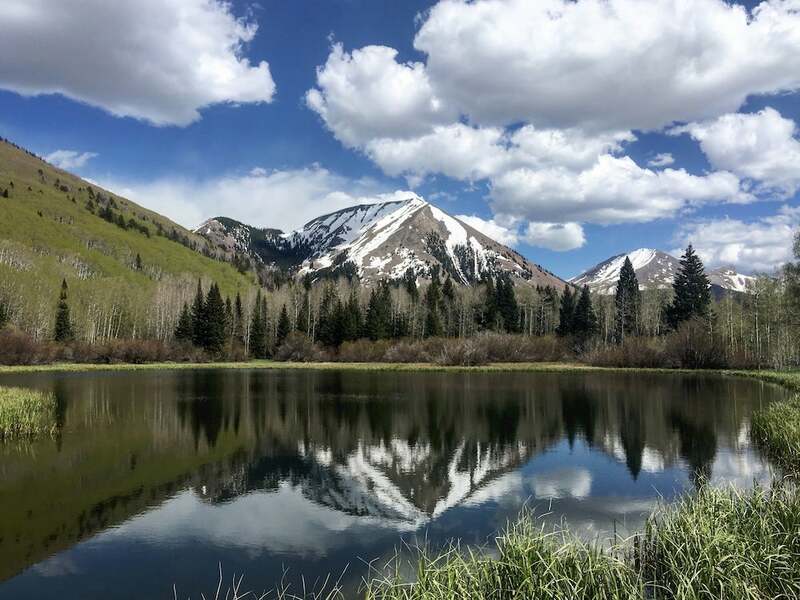 If Moab temps are taking a toll, head up a few thousand feet in elevation to camp at Warner Lake—an oasis of mountains, forest, and alpine lakes just beyond the desert’s edge. With ample facilities and amenities, you’ll have cooler days and nights, all within a short drive to Moab and the national parks. Many campgrounds in Moab are also open year-round. If you want to explore the Utah desert in a blanket of snow, head there in winter to escape both the heat and the crowds. Clear weather and warm nights? Ditch the rain fly (or the tent altogether) and sleep under the desert sky. 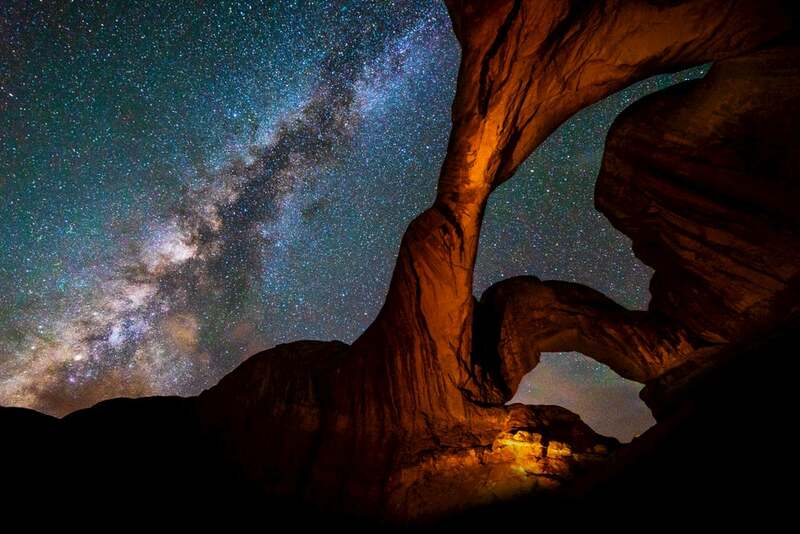 This corner of southern Utah is far from major cities, and the low levels of light pollution make Moab camping a dream for stargazers. Stay up late or set the alarm to experience the dead of night when the sky is clear and you can see the milky way painted across the sky. You can sleep when you leave.